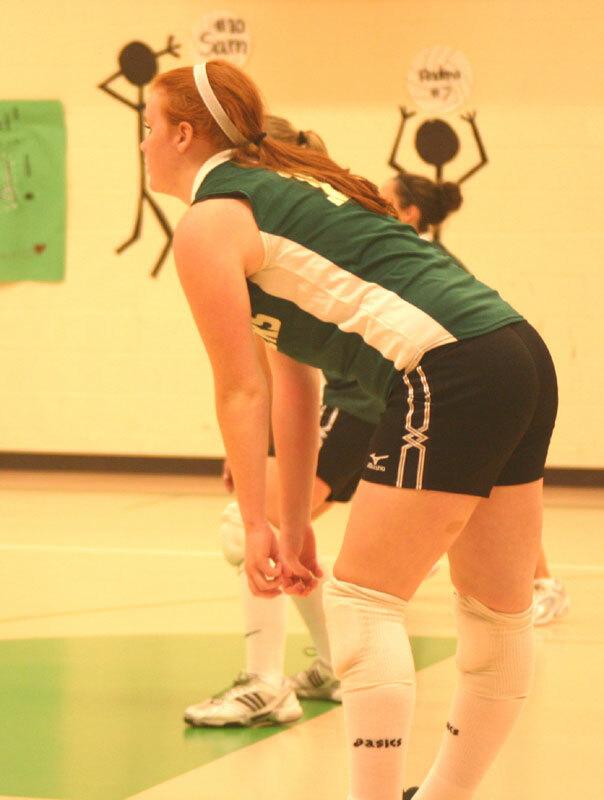 Andrea awaits serve, sets for Britanny, sets for Samantha and Maeve, Andrea spikes again and has a nice save and set. 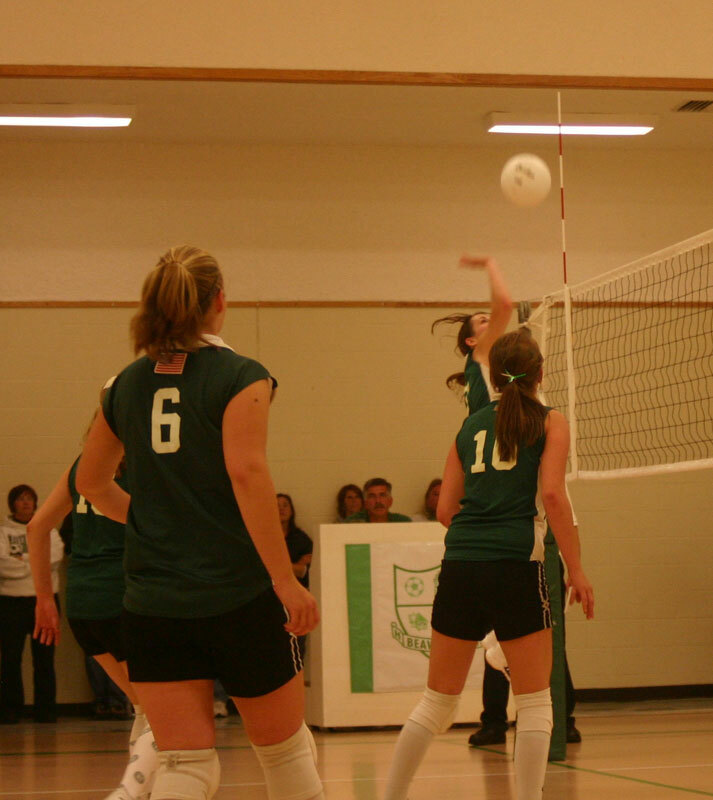 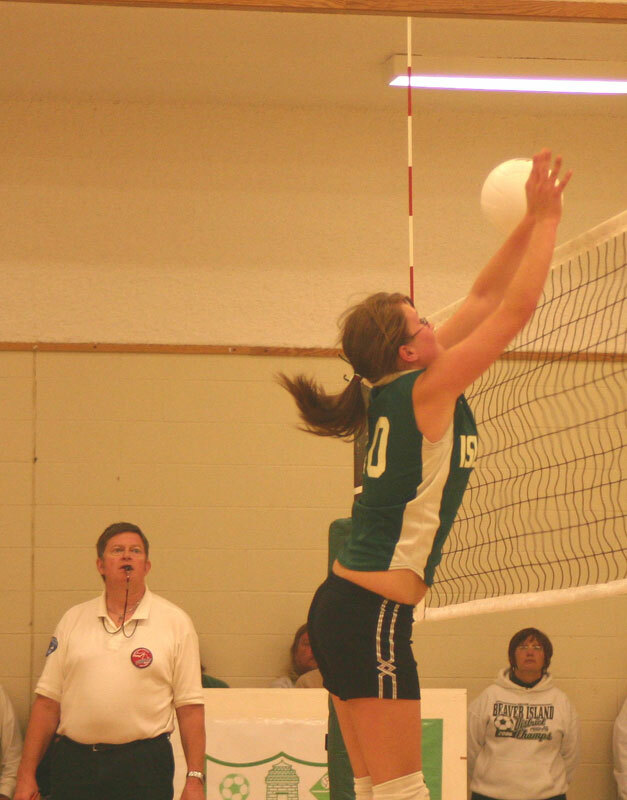 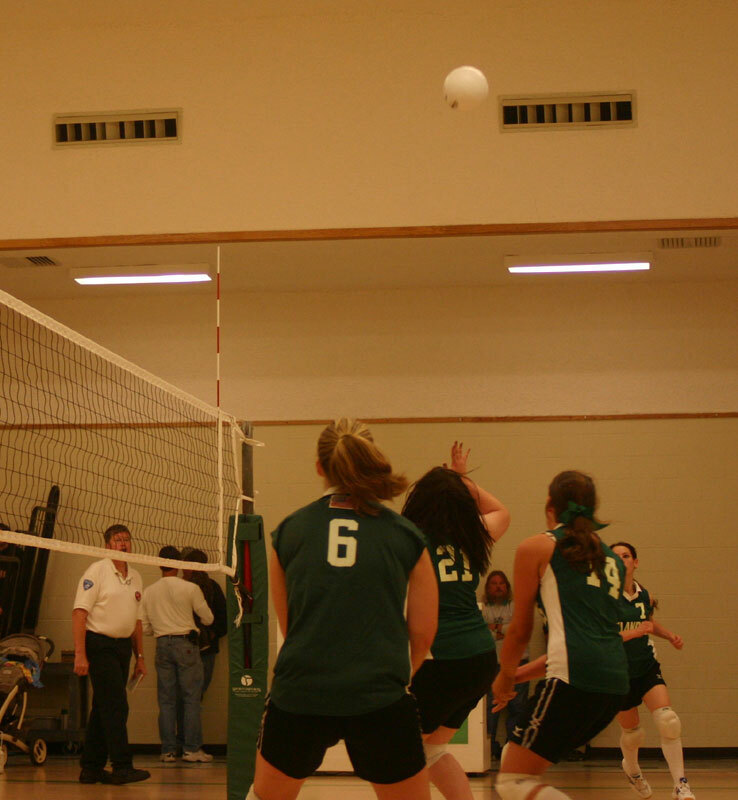 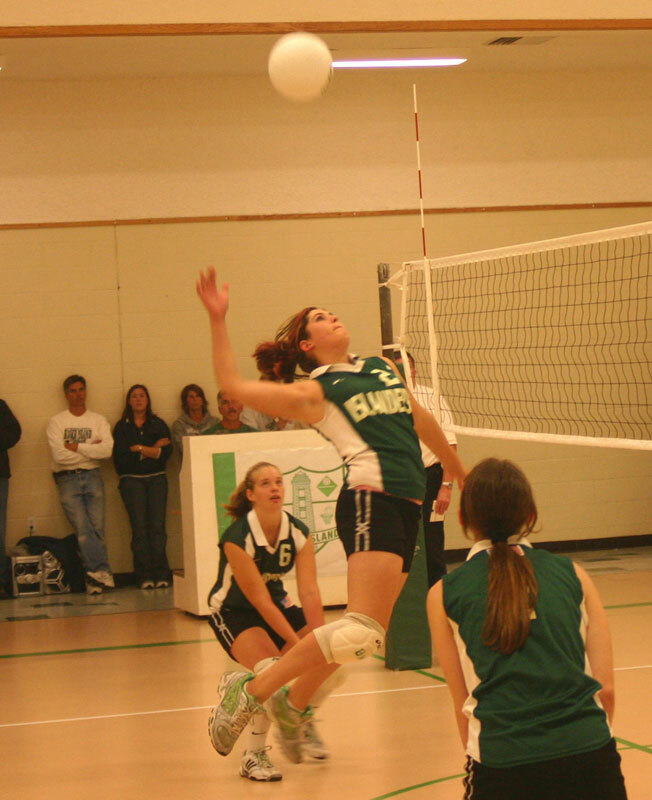 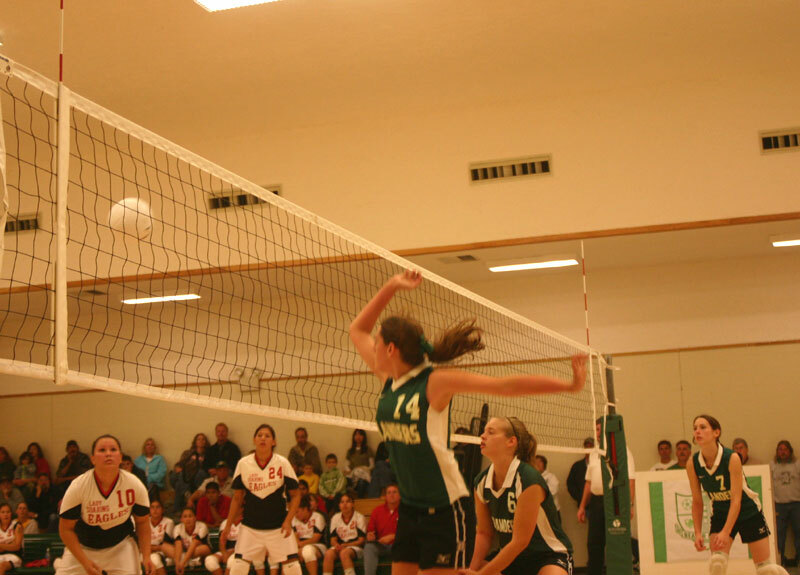 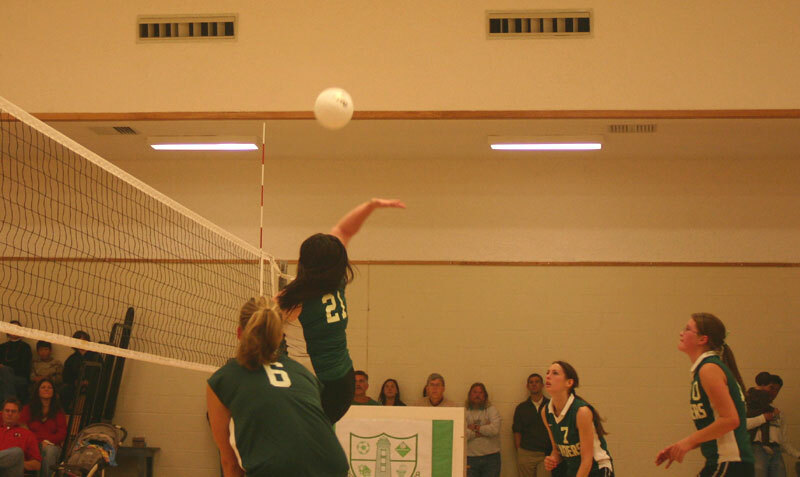 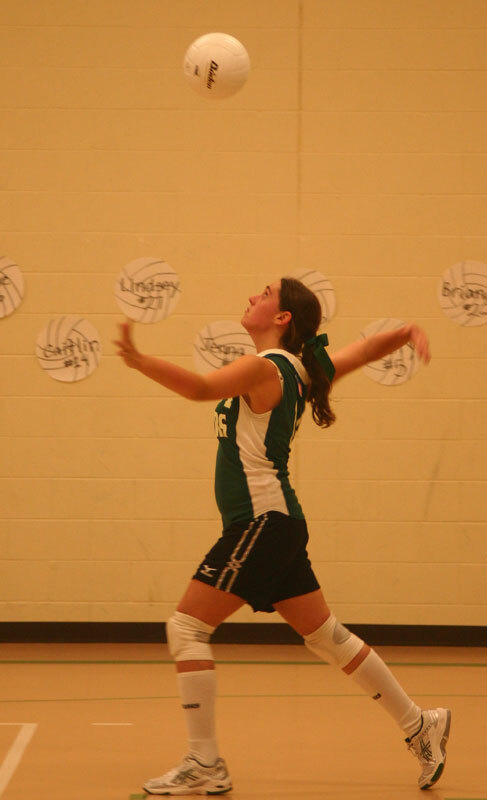 Caitlin also goes high for the spikes and serves quite well. 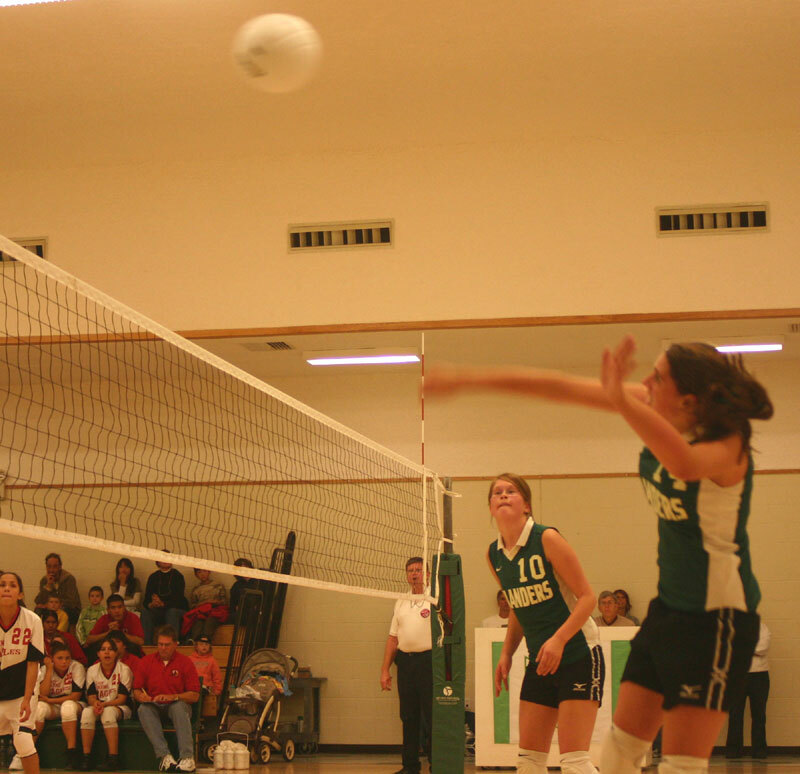 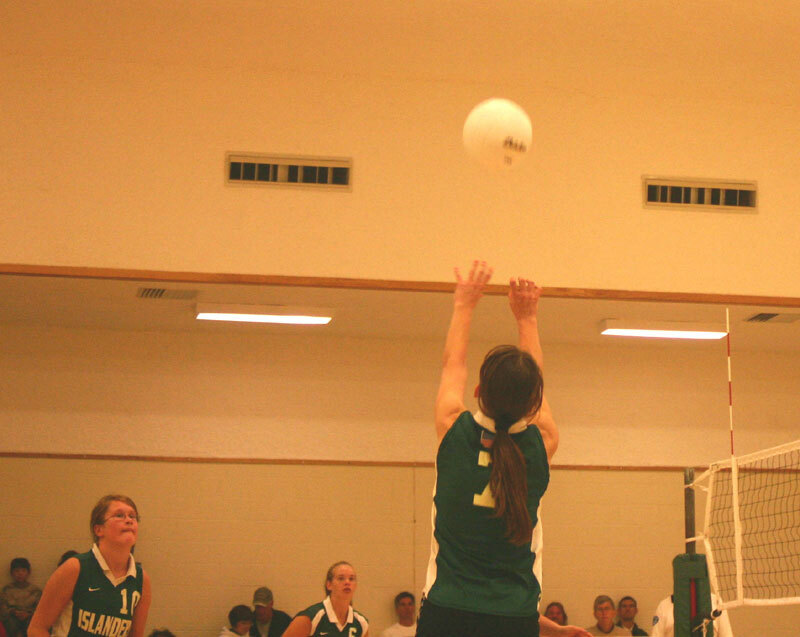 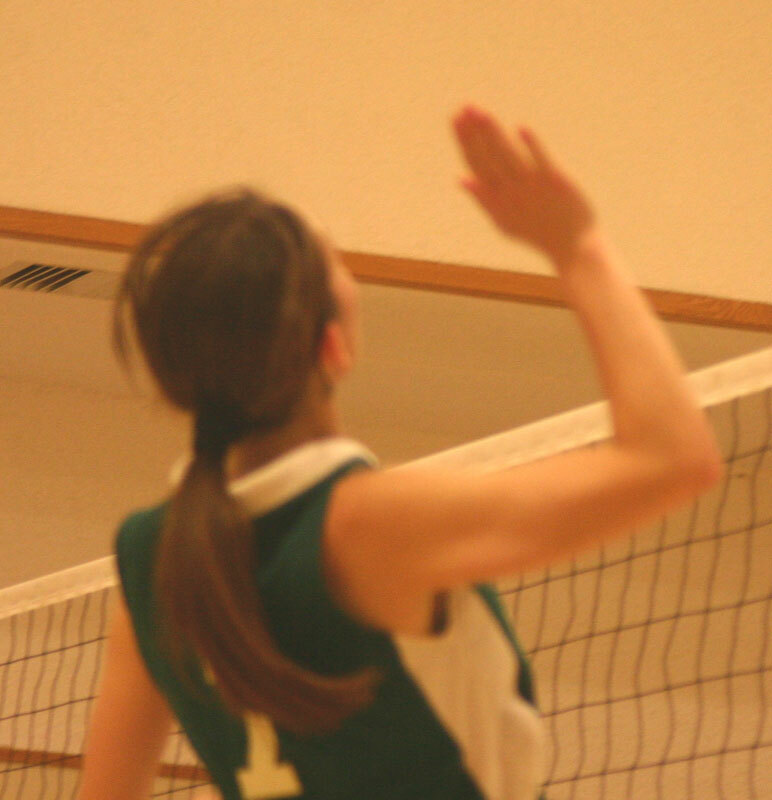 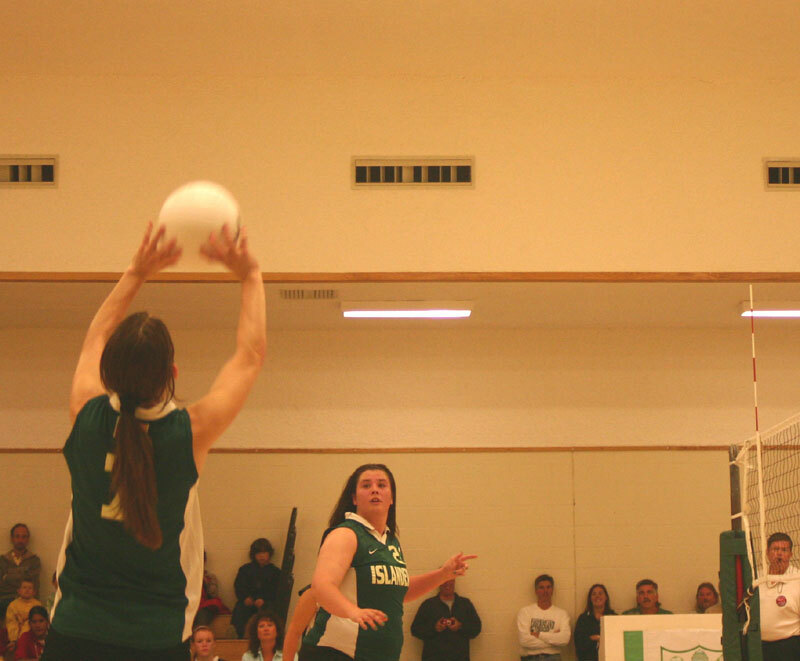 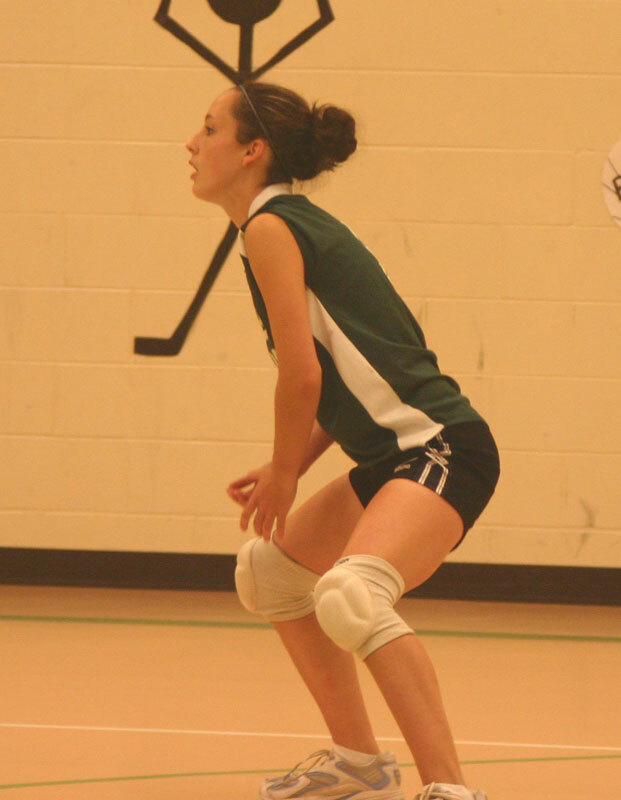 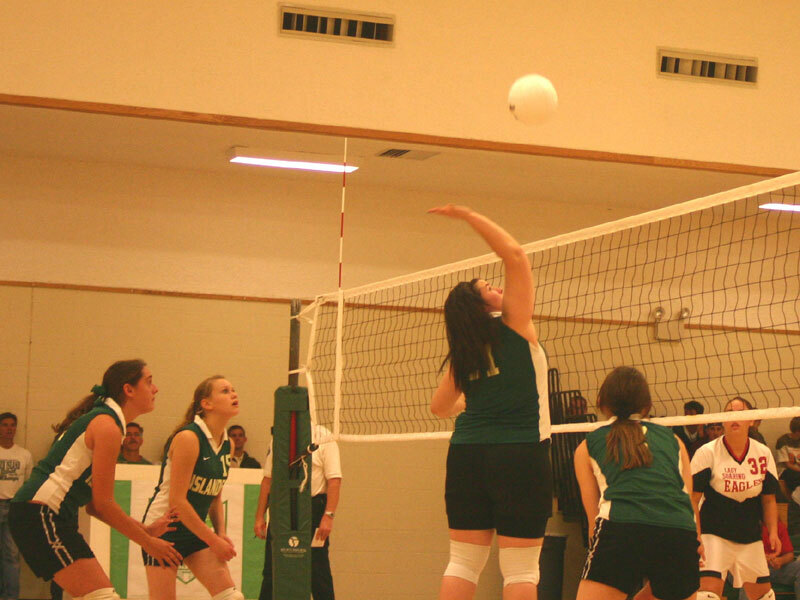 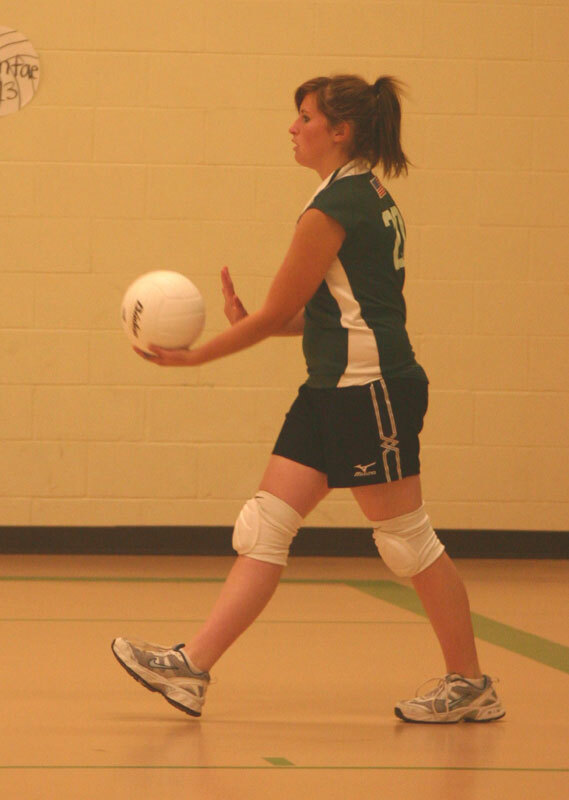 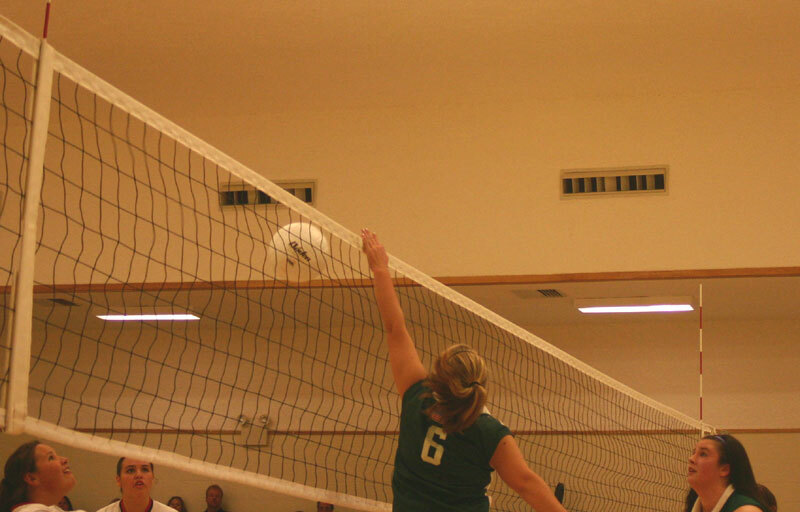 Maeve had some nice sets and spikes and a great block. 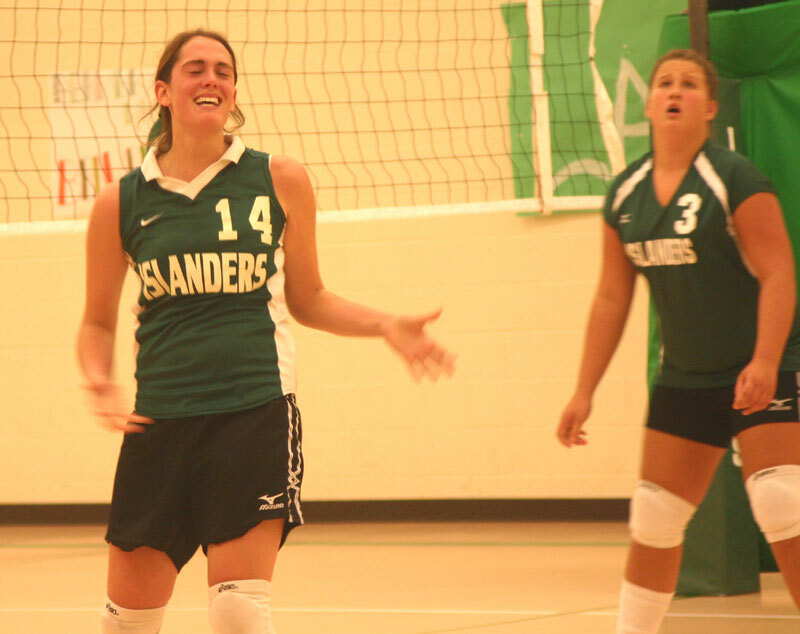 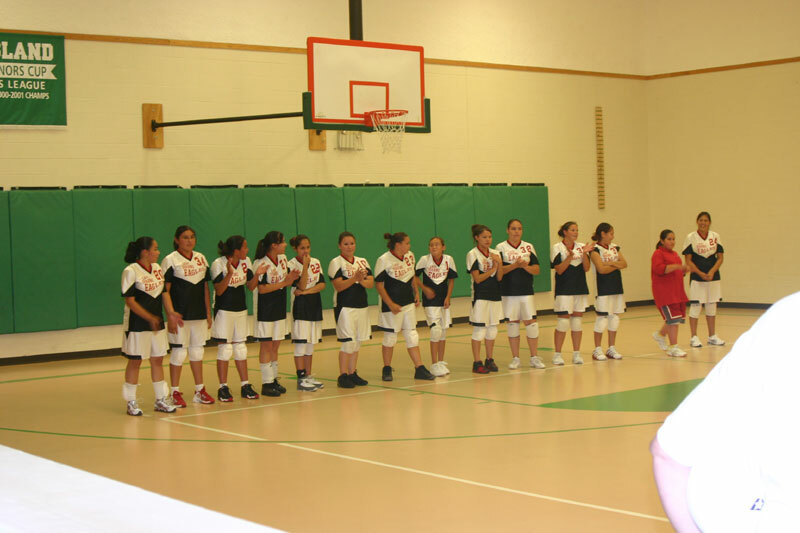 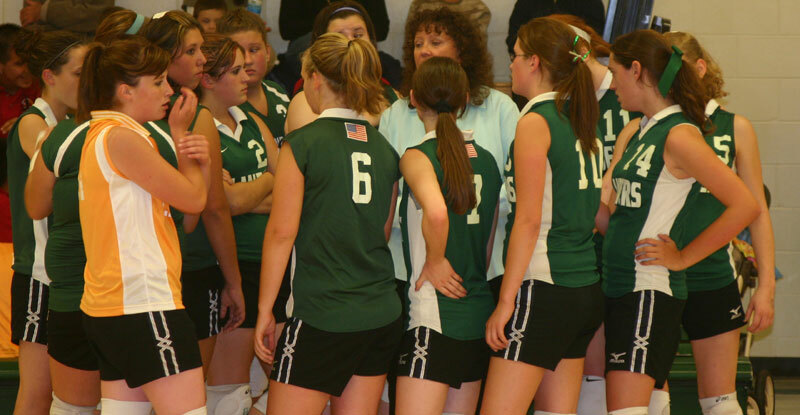 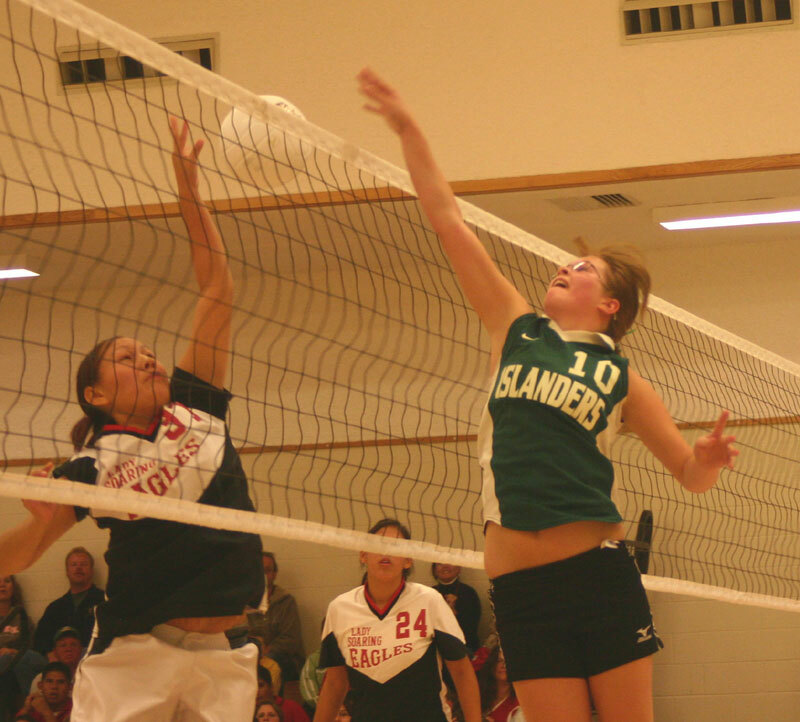 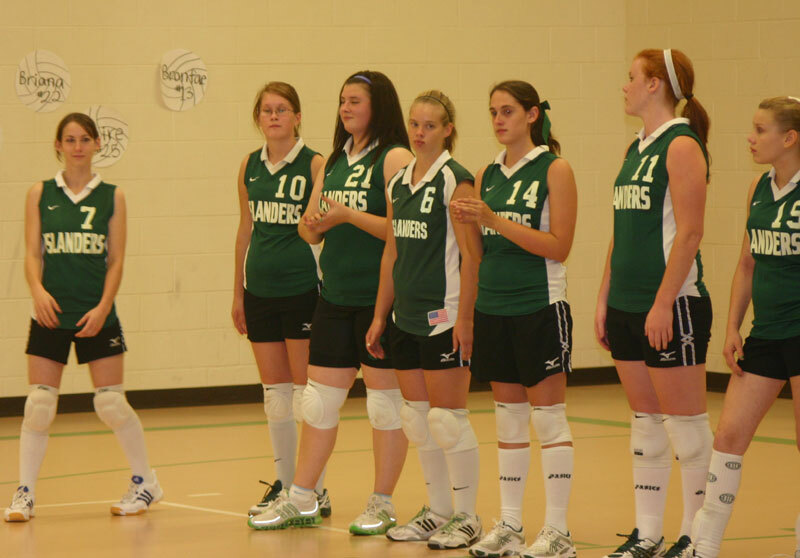 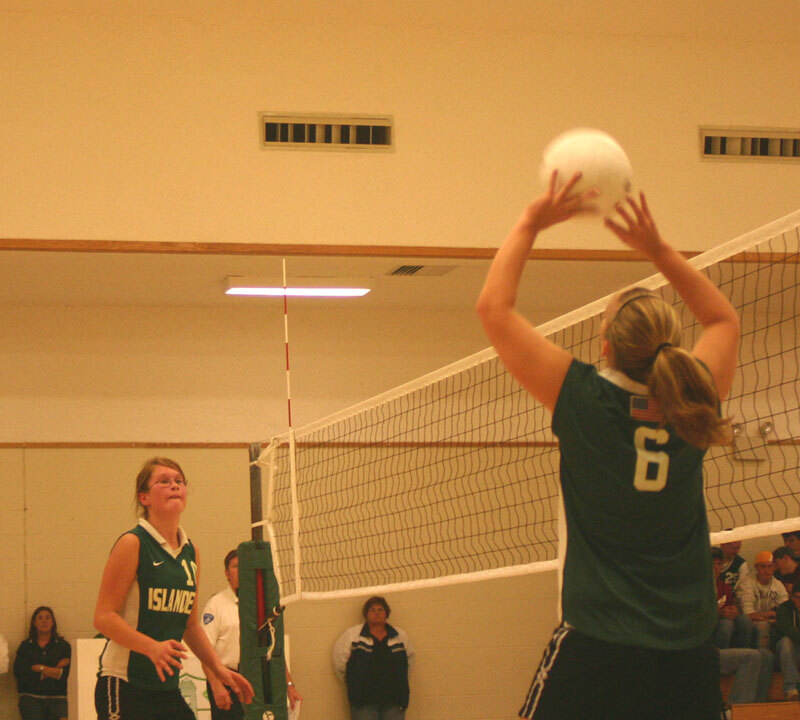 The Beaver Island starters for the volleyball team. 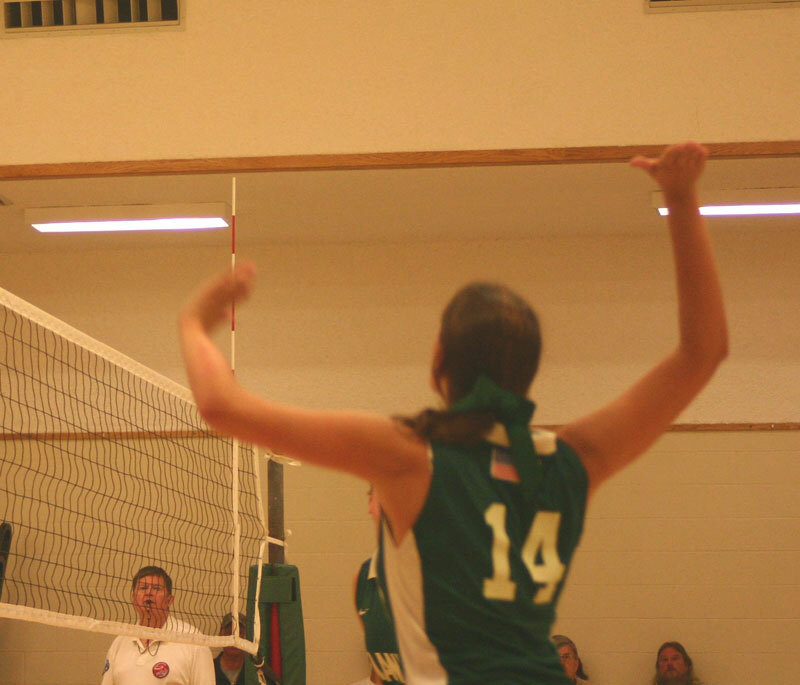 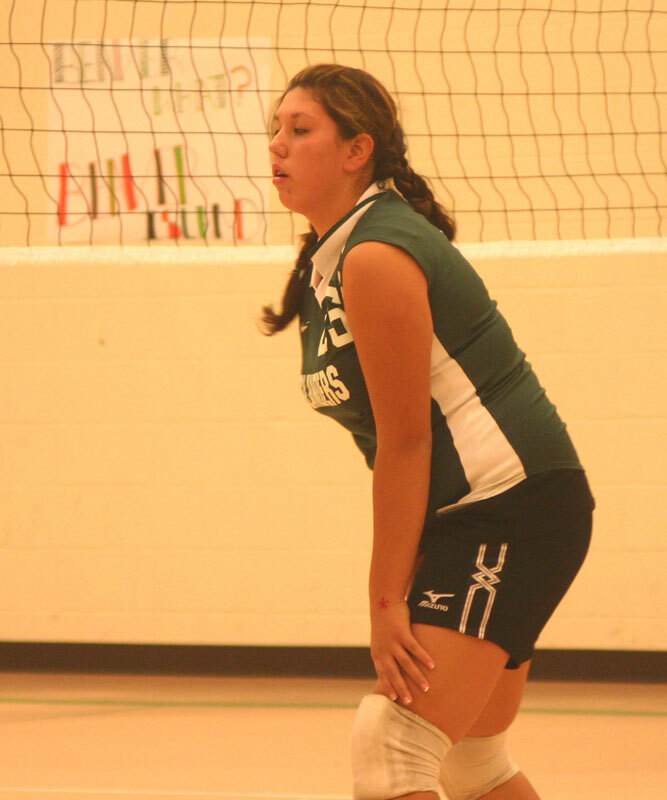 Briana waits for serve and spikes the ball. 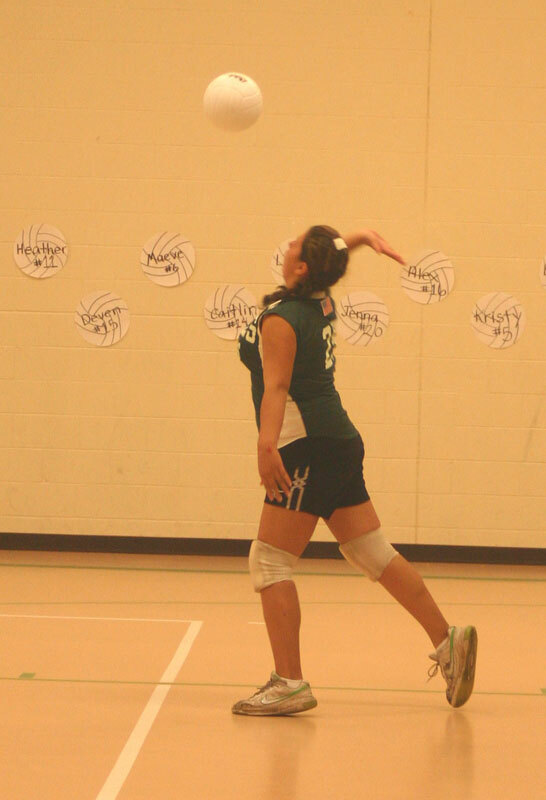 Clairessa serves and awaits a serve. 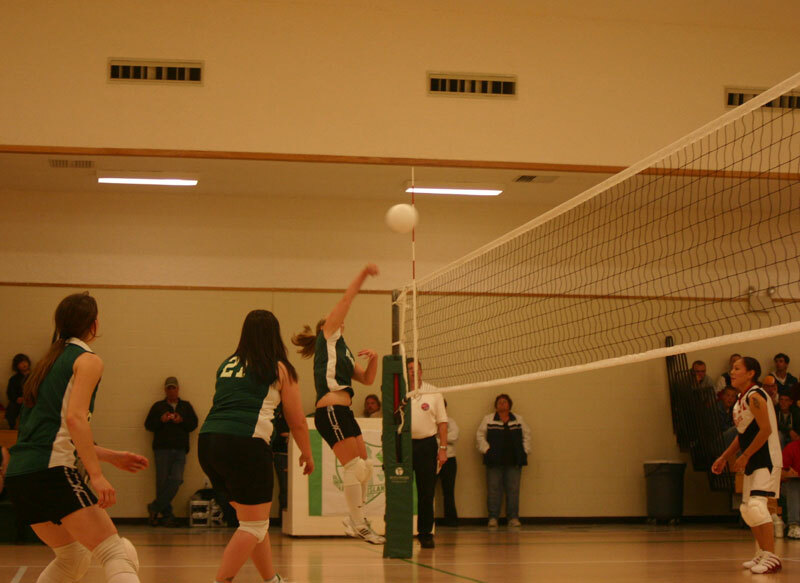 Heather awaits, Jenna serves, Kristy awaits. 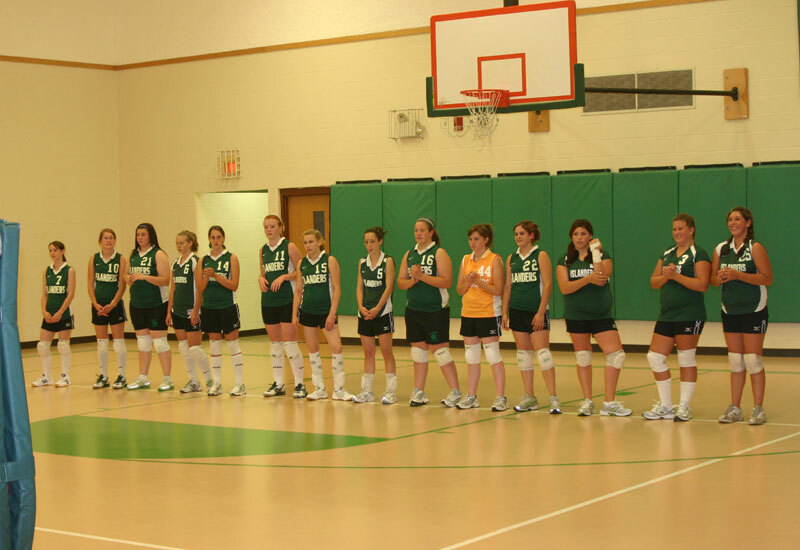 Team takes time-out to try to focus energy.